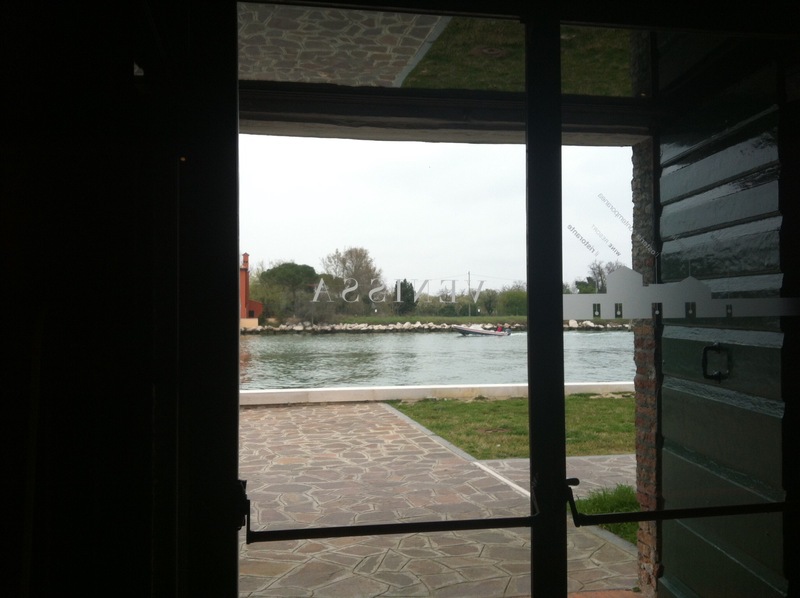 Not so RIESsearchING at Venissa! Today for my last “not so RIESsearchING” for now! This one took place at Venissa on Mazzorbo, Venezia! The morning of the visit, I departed from Verona quite early. The winery sent me an email after I departed to come and meet them later on the day. I never received it… So, I arrived too early. 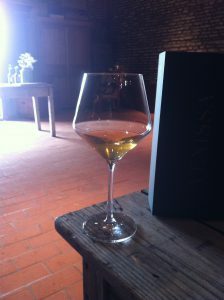 Only this was no problem, they invited me in, in their Osteria Contemporanea and gave me a glass of very nice Prosecco. Which made the waiting very pleasant. The man who showed me around the winery, named Marco apologized like a 100 times he let me waiting. This was not necessary at all! But very polite. We began the tour outside. 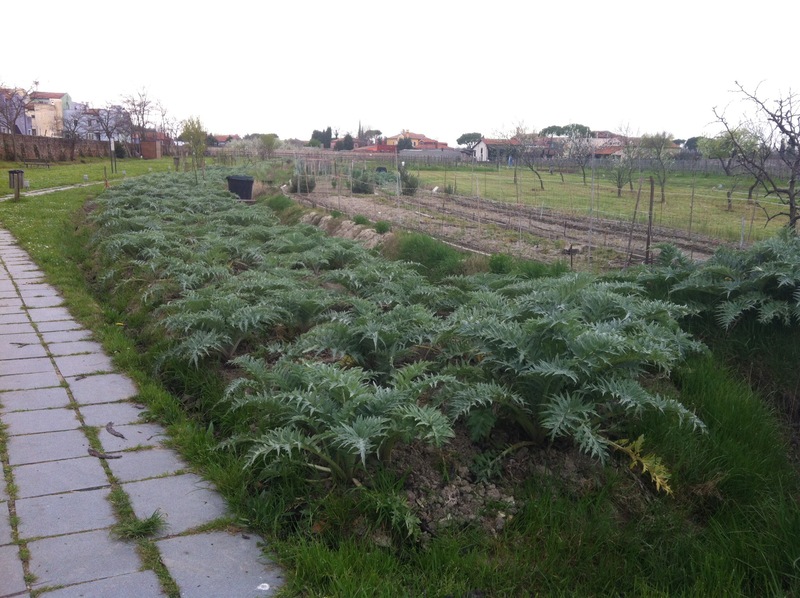 They own a big vegetable garden, where the vegetables are grown for the 2 star restaurant and the Osteria. The garden is maintained by local retired people. 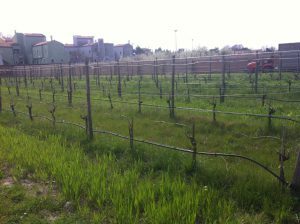 The vineyard is only 0,8 Ha, with 4000 vines present. This is the Dorona Veniziana. Translated means Gold of Venice. 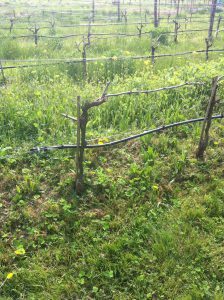 The vineyard and garden are Biodanamicly sustained. Dorona is an ancient species which was almost disappeared. 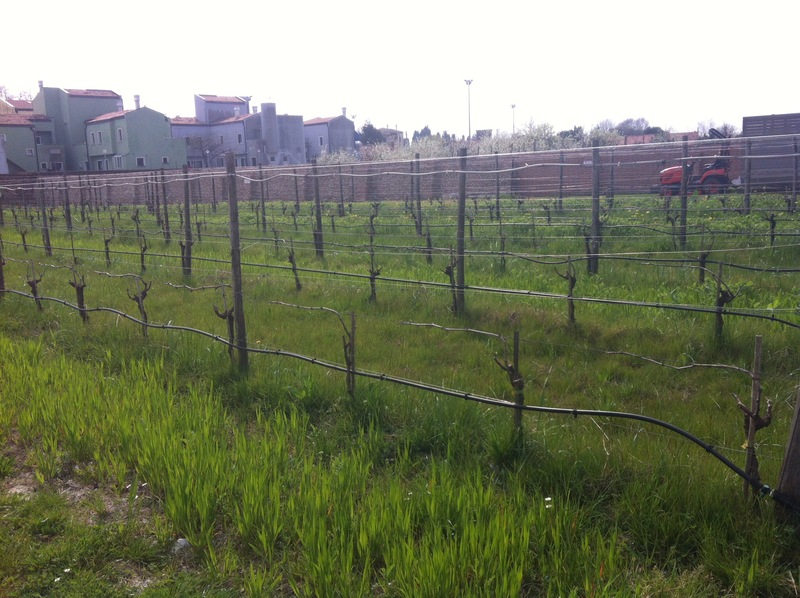 Nowadays this is almost the only vineyard on Venice, but centuries ago, there were a lot more! Like the San Marco square was one big vineyard long ago. 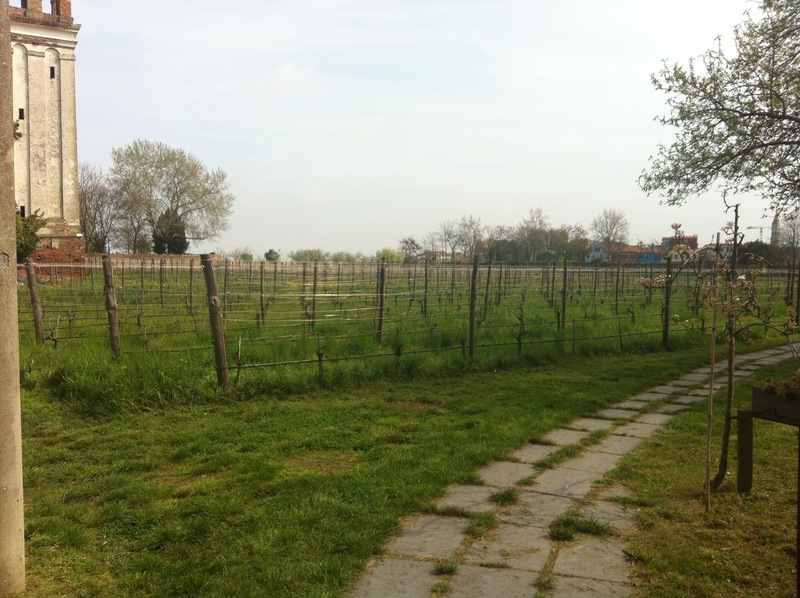 On Burano you even have a street called Via Della Vigna, the street of the vine. Also in their garden they have 2 ponds, they look very dirty, but these are also Biodynamically and this is a breeding place for the native fish “Ghiozzi”. They assist the re-introduction of these fish in the Laguna by these ponds! After the outside tour, we went inside for an introduction movie. The glass bottles are hand made by Moretti glass work on the island of Murano. On this glass bottle a foil of gold is attached. This gold is made by the Battiloro family in Venice who makes gold foils for centuries. They likewise made the gold that you can see on the Lion and the wings of the angels on the Basilica of San Marco. After the gold is attached they go back to Moretti for a last bake in their ovens. Each bottle is numbered in 2011 there were 3911 half liter bottles made, 188 Magnums, 88 Jeroboams and 36 Imperials. 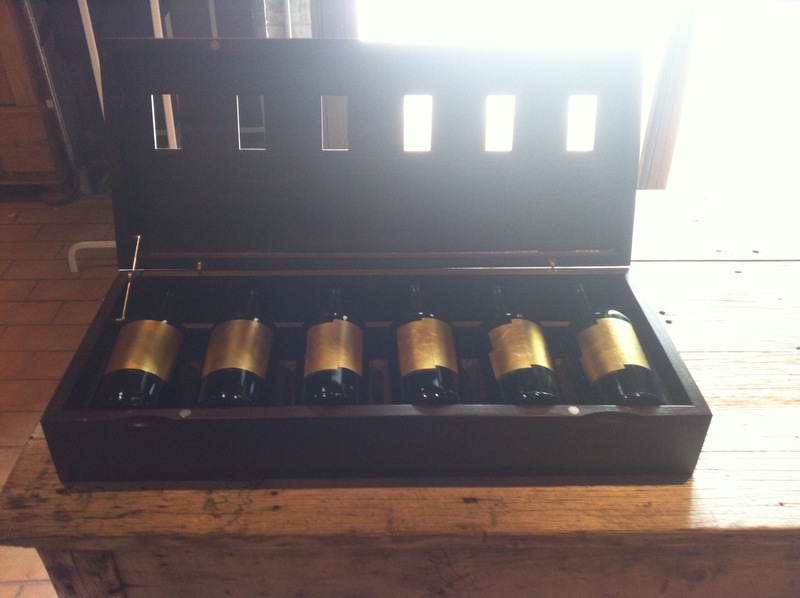 Then there followed a tasting of the 2012 vintage. 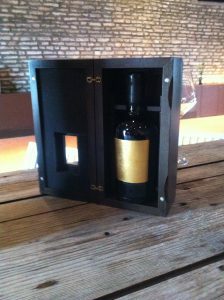 The wine is gold in color, it has great structure almost like a red wine. 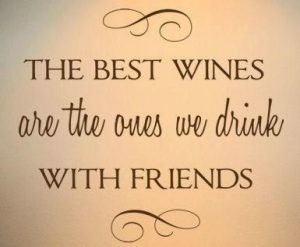 Which is not weird because the wine has skin maceration for up to 12 weeks. Also peach and honey flavors can be detected. The wine has a velvet full body, it’s dry and a savory almost salty. It has a long and rich finish. The salty taste can be because the vineyard floods 6 times a year with the salt water from the Laguna. After the flood they need to rinse the soil with sweet water for 3 day’s to get the salt water out of the soil. Because vines do not live of salt water! 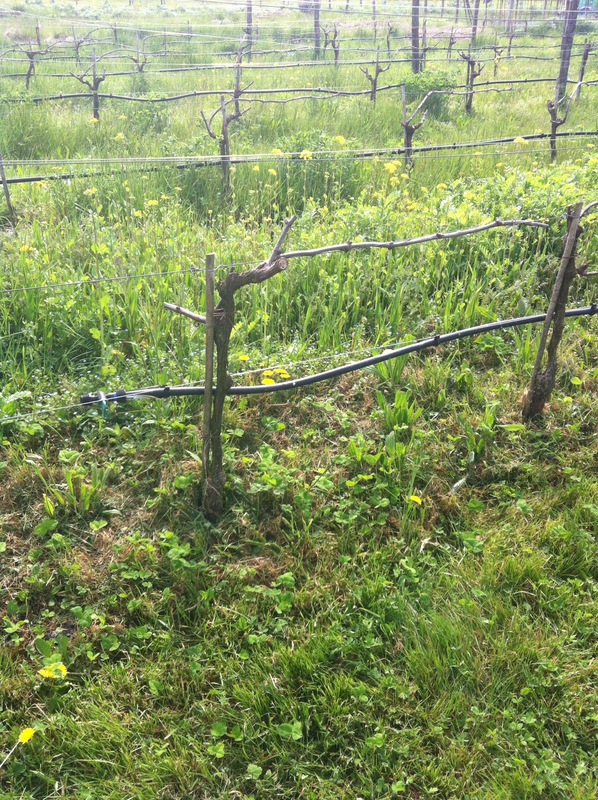 That’s why they have an irrigation system in the vineyard. 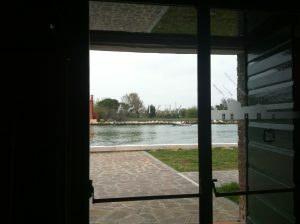 While I was tasting the wine, Marco opened the doors of the room, I sat in and there was a nice view of the Laguna. And he said: this is our terroir. 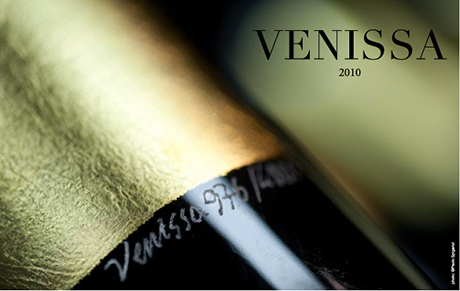 Venissa also makes a Rosso of Merlot and Carmenére grown on another island of Venice: Torcello not far from Burano. 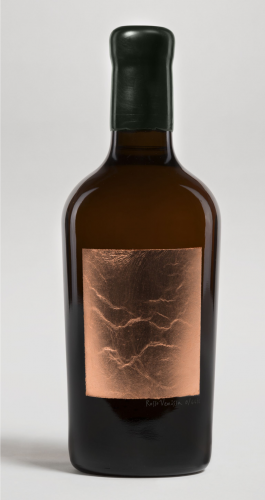 This bottle is hand made by the same company, but there is not a sheet of gold but copper on the bottle. I did not taste this one. At the end, I got an empty bottle of the Venissa 2012! Which proudly stands in my living now! This visit was a great experience! 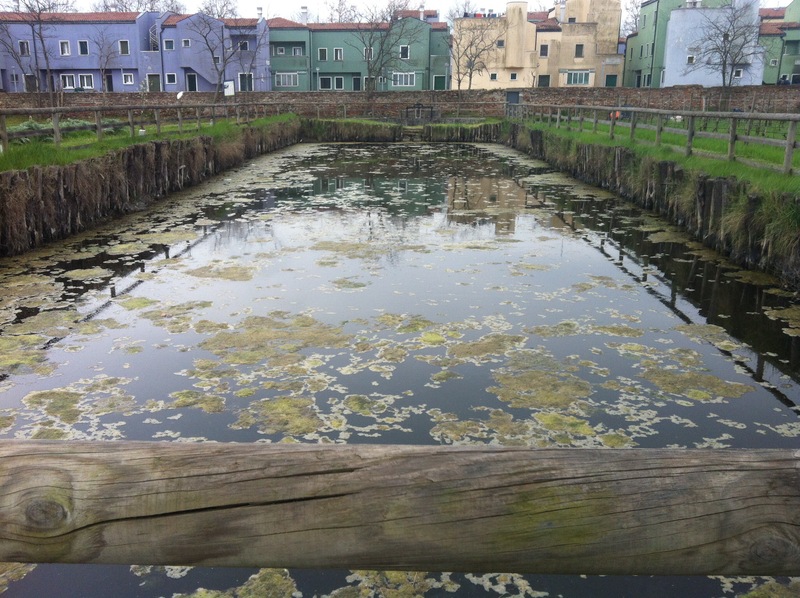 If you go to Venice, you should go visit Venissa! The visit cost 25€, but it’s so worth it! 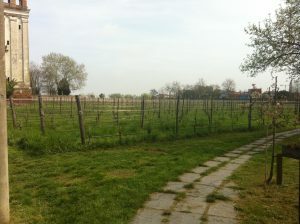 I thank Marco at Venissa for the wonderful winery tour! And thanks to everyone for the great hospitality during my visit in Italy! See you the next real RIESsearchING again! 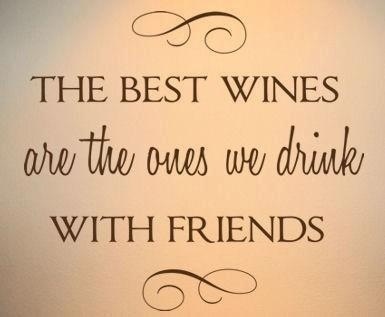 Riesling here we come again!